Venture out of the city with trips to Lincoln's Rock (in Blue Mountains National Park), Katoomba (Wentworth Falls, Blue Mountains, & more) and Everglades Historic House and Gardens (in Leura). On the 15th (Tue), give your taste buds a day to remember with a local gastronomic tour. 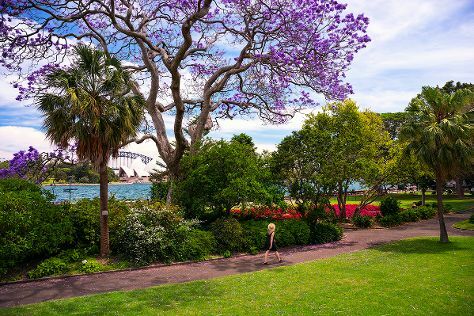 There's lots more to do: take in nature's colorful creations at Royal Botanic Garden Sydney, see the interesting displays at Australian National Maritime Museum, stroll through Bondi Beach, and take a stroll through The Rocks. To find other places to visit, traveler tips, where to stay, and other tourist information, read Sydney road trip app . If you are flying in from Latvia, the closest major airport is Sydney Kingsford Smith International Airport. In October in Sydney, expect temperatures between 28°C during the day and 17°C at night. Finish up your sightseeing early on the 15th (Tue) so you can travel back home.